Since being identified on Easter Island, Chile, last year, the Zika virus has already spread to Brazil, the Caribbean, and Colombia. The mosquito-borne disease that is comparable to dengue fever was originally discovered in Uganda’s Zika forest in 1947. A monkey was the carrier back then but the virus is now spread by yellow fever mosquitos (Aedes aegypti). A total of five cases have already been confirmed in the Caribbean, although the precise location is not being released. The scare is enough to put health officials from across the Caribbean on high alert. Public health officials in Ecuador also want allsuspected cases reported immediately. The concern is that the virus can cause birth deformities such as microcephaly—this is a disorder that causes a baby’s head to measure less than the standard 33centimeters. Brazilian health officials are investigating whether the Zika virus could be linked to a rise in cases of microcephaly in infants. 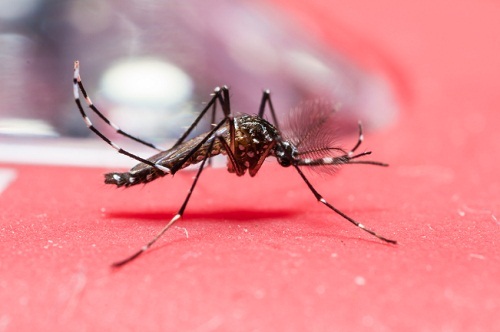 Reports suggest that approximately 400 cases of newborn babies with uncharacteristically small heads were born in a Zika-infected region of Northeast Brazil. According to a report by the European Centre for Disease Prevention and Control, it’s possible the Zika virus has already spread to Europe. Symptoms of the Zika virus include rashes, headaches and fevers. There is currently no known cure or vaccination. Sims, A., “Zika virus: Health alerts in South America and Caribbean following fears illness may cause birth deformities,” November 19, 2015; http://www.independent.co.uk/news/world/americas/health-alerts-in-south-america-and-caribbean-following-fears-spreading-zika-virus-may-cause-birth-a6740301.html.